Nations Press feature news Irate Man on a Date,Throws Juice and Ice at a 3 year-old for crying in a Cinema goes Viral! 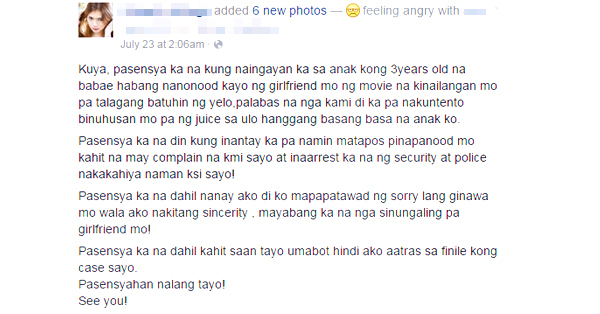 Irate Man on a Date,Throws Juice and Ice at a 3 year-old for crying in a Cinema goes Viral! SPONSORED LINKS Inside a cinema we encountered different people's behavior, people walking infront of you while blocking the view, group of students laughing and discussing, and children being too noisy. These things can be observed always, and the best thing to do is be patient with others. Facebook user Cieniel Iddings had a horrible experience with an impatient and irate man who went to watch a movie with his girlfriend, and decided to share her story on Facebook. Apparently, Iddings was with her 3-year-old daughter inside the cinema, when her daughter started crying. She couldn’t calm her daughter down, and so she decided to get out of the cinema instead, so the other viewers can watch in peace. To her horror, a man suddenly approached them, juice in hand. He then poured the juice over the child’s head, and threw ice cubes at her. Shocked, Iddings decided to report the irate man to the security of the establishment. She shared her story on Facebook, saying a simple “sorry” without sincerity is not enough to compensate what he did, and that she intends to file a case against him. 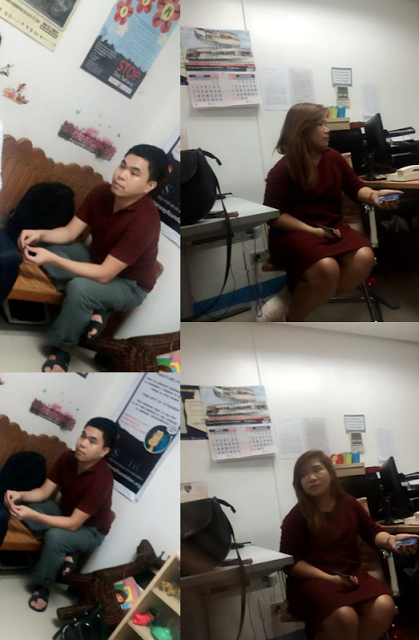 Her Facebook post read: “Pasensya ka na din kung inantay ka pa naming matapos pinapanood mo kahit na may complain na kami sayo at ina arrest ka na ng security at police, nakakahiya naman kasi sayo,” in a sarcastic tone.Though the man said sorry, Iddings believed that his apology wasn’t sincere enough. “Pasensya ka na dahil nanay ako d ko mapapatawad ang sorry lang ginawa mo, wala ako nakitang sincerity,” she added. (I cannot accept your apology because I didn’t see any sincerity. )According to Iddings, she will never back out and will continue to file a case against the man.